Legislation to extend unpaid parental leave from 18 weeks to 26 weeks for all parents with children under eight years has been backed by Government. However, the Social Democrats' proposal will not be implemented overnight amid concerns about the immediate impact it would have on staffing levels in the public sector. Instead, the Government is seeking to have the changes implemented over a two-year period. The matter was discussed by the Cabinet today and the proposals are now likely to be examined in detail by an Oireachtas committee. 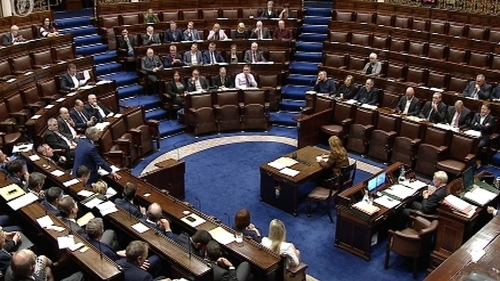 A Government spokesperson said there was widespread agreement on the aim of the legislation to give working parents the opportunity to spend more time caring for their children. The Parental Leave (Amendment) Bill will ultimately allow parents to take a total of six months unpaid leave from their jobs without their employment rights being affected.